Summer is almost over and Fall is just around the corner. Therefore, it’s time to start putting your autumn plans in place which should include your lawn. 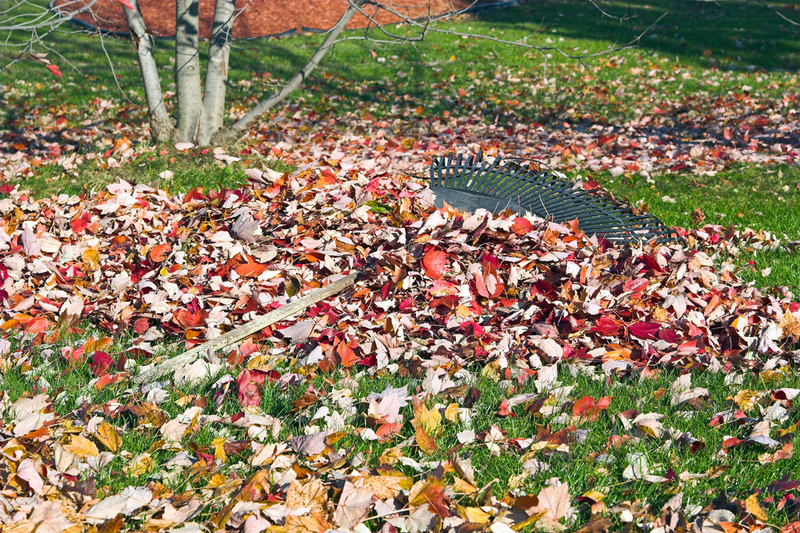 Fall is the perfect transition from the sunny days of summer to the harsh and cold winter weather that can wreak havoc on our lawns. That is why it is imperative that you prepare and prep during the fall season. This will not only preserve your yard throughout the weather changes but also make it a lot easier to recoup your lawn when springs roll back around. Prepping your residential lawn right now is a great idea that will save you time and energy in the long run. Here are simple tasks you can do yourself or hire out to your expert landscaping company to help you maintain your lawn right now. Usually, during the Fall and Winter months, there is an influx of rogue tree limbs that can be found around the neighborhood. That is because, during these months, the weather can be windy, rainy or snowy on any given day. To help keep these out-of-place limbs from cluttering up your lawn, start cutting back and trimming up any large branches that may be hanging low or at risk of falling when bad weather comes through. Aerating your soil is something that many people don’t think to do. However, by doing so, you break up the soil in your lawn and allow nutrients to reach your grass’ roots throughout the winter. This will help your lawn sprout in the future spring months. Speaking of nutrients, feeding your lawn is also imperative during the fall/winter for it to grow efficiently in the spring/summer. You will want to choose one that is high in phosphorous content. As summer comes to an end, you will have to mow your lawn a little less until you eventually don’t have to at all. Before you put away your mower or cancel your scheduled lawn mowing service, be sure to give your grass one last mow. This will help you dry out your soil and provide you with a thriving lawn in the spring. Do you have plants like ferns, roses or tropical plants that need to be protected from the cold weather? Pre-fall is the perfect time to winterize these plants. To help keep your plants from freezing, add mulch to the base of each one. You may also want to wrap them in cloth or plastic to create an extra barrier or protection. From creating the dream landscape at your home to getting it prepared for the winter, Yepez Lawn Maintenance Service does it all! Located in Dallas, our expert and professional lawn specialists have over 25 years of experience keeping lawns healthy. To get help with your lawn this Fall, contact Yepez Lawn Maintenance Service today.